This post is sponsored by Guitar Center and The Motherhood, All opinions are my own. Music has always been a part of my family life. All of my uncles play the guitar while one is in a band, and several of my cousins play musical instruments and DJ. Unfortunately, I never got into playing an instrument as a child, and it is something I regret now, so when Anthony came to me asking to take guitar lessons I didn’t hesitate to run to Guitar Center and sign him up. 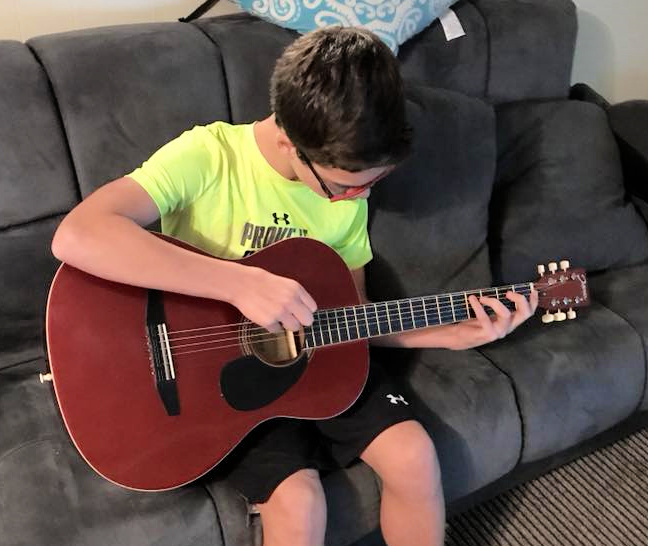 Anthony has always been a very shy child and building up his self-esteem has not been an easy task, he also has generalized anxiety, so when I learned the benefits of music lessons for kids I realized this was a lot more important than some of the other hobbies we’ve tried in the past. 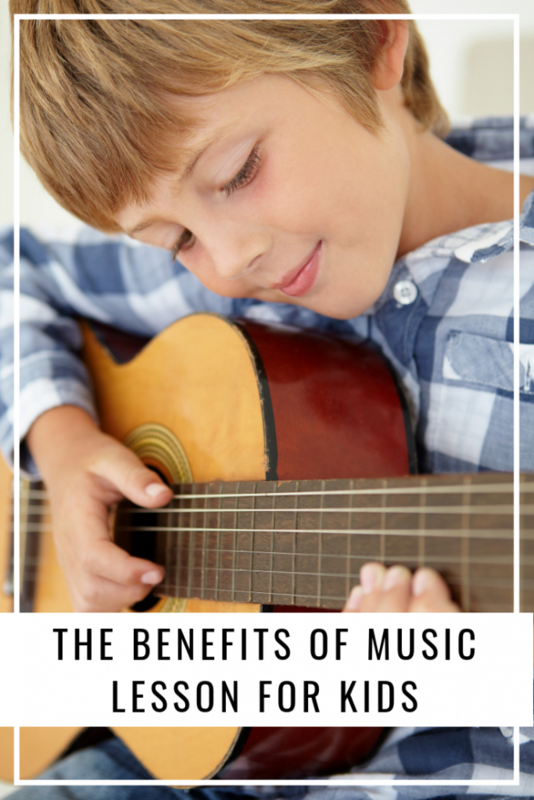 Taking music lessons provides countless benefits for kids from hand-eye coordination to cultural awareness and many of the life skills it provides are phenomenal. Learning to play an instrument is an exercise for the brain and helps teach them how to store and retrieve memories. 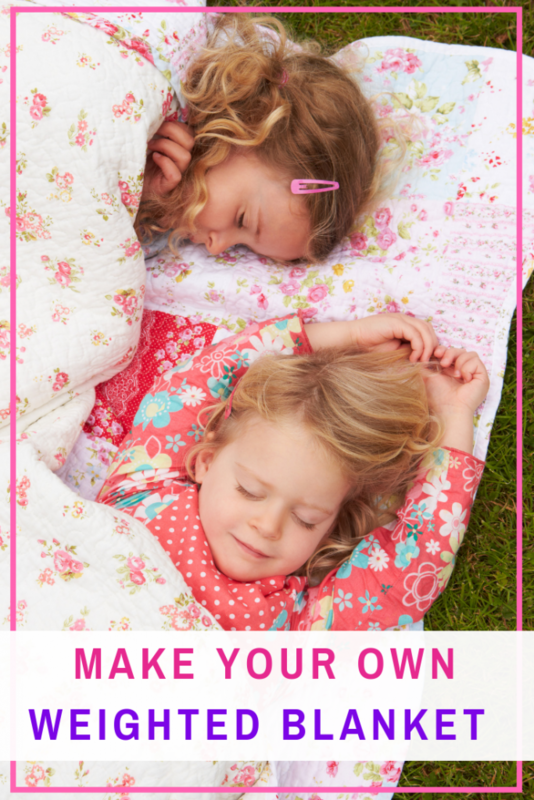 This skill can have a profound impact on your child’s academic performance. By building a child’s self-esteem, social skills, and confidence, they are able to feel more relaxed in a social setting. Working hard on something and seeing it through to fruition generates a sense of pride and confidence in everyone including children. Learning to play an instrument requires patience and hours of practice. 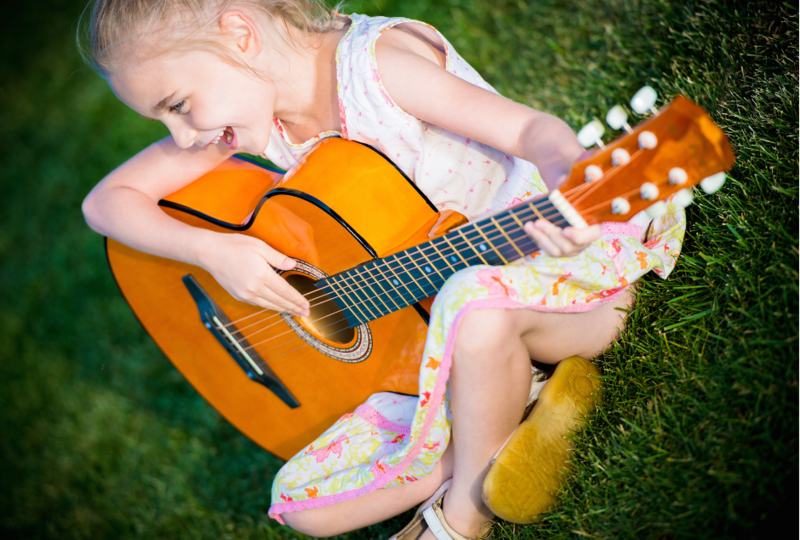 Learning a single note can take countless tries which teaches children to keep trying even when things get hard. Guitar Center has created a custom curriculum focusing on teaching theory through contemporary music. All curriculum programs are approved by the National Association for Music Education, the world’s largest arts education organization. They can also help tailor curriculum to your goals and interests with a database on thousands of songs to learn. With over 200 locations nationally, brand-new facilities Guitar Center Lessons is a one-stop shop. 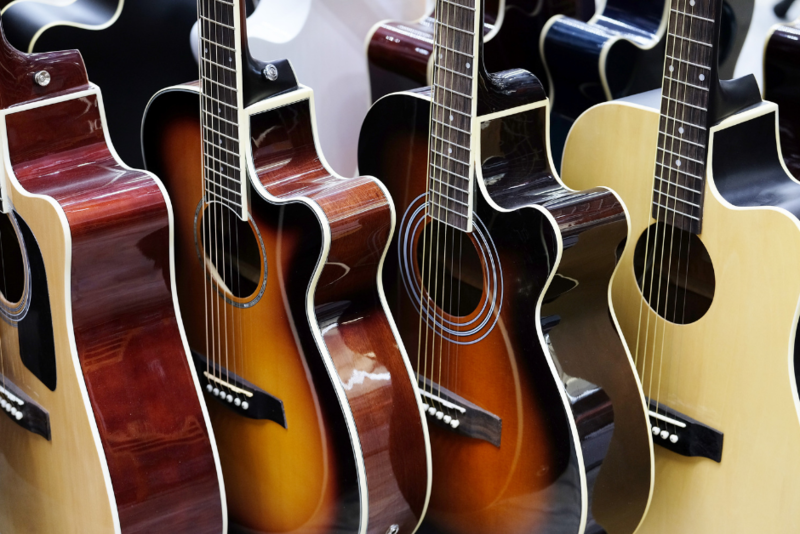 From lessons to retail to instrument repairs to supplemental learning materials, Guitar Center can cover any aspiring student’s needs. Plus, their program gives students the ability to continue learning on the go with online resources and the ability to schedule at any location. All Guitar Center Lessons instructors are passionate, playing musicians who want to help you reach your musical goals. Based on your needs and wants. You are paired with the instructor that is right for you! You can take any instrument, anywhere. They make sure you have the musical foundation to achieve any level on any instrument. 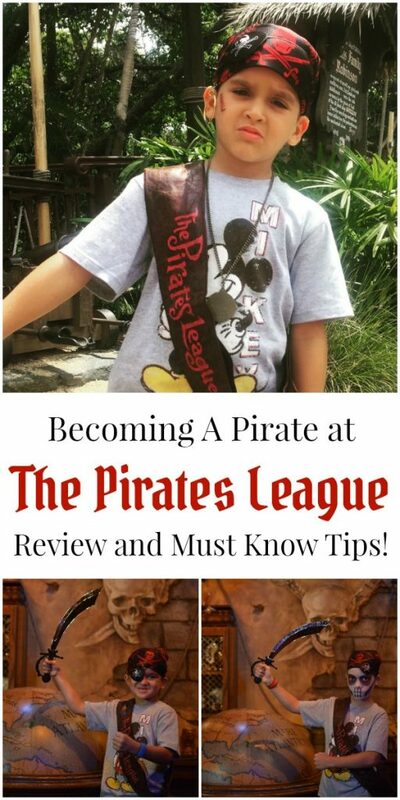 They offer a 6 tiered program to help students monitor their progress. Give the Gift of Lessons with Guitar Center’s Holiday Promotion! This holiday season when you buy 3 Lessons you’ll receive the 4th Lesson FREE! This is so great. My husband plays guitar and has taught both of girls to play. I think playing music is so great for kids.